With seventeen miles of shoreline, it is no wonder that Osterville was well known in early years for both ship building and salt production. Salt vats lined the shores of Osterville during the early 1800’s until boat building became the base of commerce for the village. The most recognized boat builder is Crosby, creator of the world famous Crosby Catboat (around 1850) and is still in business today. During World War II, the Crosby Yacht property was commandeered by the Army Corps of Engineers who conducted landing boat training for the Normandy Invasion, in 1945. Originally named Cotacheset, the village was not known by the name Osterville until about 1815. Once home to Sea Captains and Oystermen, the village was developed to serve the needs of tourists and summer residents, with rail service beginning in the 1850’s. At just under six square miles, Osterville has secluded beaches, world class golf and a charming village center, brimming with boutiques, galleries and bistros. Greetings from Skyfield by the Sea, In Cotuit, The Most Beautiful Village on Cape Cod. Come share with us the beautiful surroundings of Skyfield by the Sea Miniature Horse Farm, B&B, and Artisans Studio. 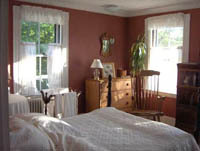 A lovely century-old home just minutes from Cape beaches and bays, only ten minutes from Hyannis or Falmouth. A quarter mile south of Route 28, Skyfield by The Sea is off the beaten track but close to the best Cape Cod has to offer. Just five minutes from Mashpee Commons and half way between Hyannis and Falmouth, ten minutes each. HYANNIS ? Inside Barnstable Town Government, the town?s Citizens Leadership Academy, graduated its 26th class on April 11. The academy is an 11-week commitment with the goal of educating the citizens of Barnstable about the operations of town government. The program is designed to advance the understanding of civic? . BARNSTABLE ? The widow of Mashpee man killed last year in a head on crash by a man fleeing from police has filed a $1.6 million civil lawsuit against that man?s estate. Kara Quinn, the wife of the late 32-year-old Kevin Quinn, of Mashpee, filed the suit on March 5 in Barnstable Superior Court. The [?] The post Civil? . Deck: Something new every day?Towns: BarnstableTopic: BusinessHub Category: BusinessAuthor: CapeCodToday StaffTeaser: Something new every day?Main Image: Thumbnail Image: Body: Today?s job postings from MassHire in Hyannis? If you are interested in one of these positions send your resume to mgolden@masshire-capeandislands.com and indicate the job that interests you. Job #1 ? Credit Analyst III ? Upper Cape Full Time: Provide senior level?